Burndy Fastap™ With Lineman Assist™ Parallel groove clamp features aluminum galvanized steel hardware construction. It accepts solid/stranded conductors of size 8 - 2/0-AWG. 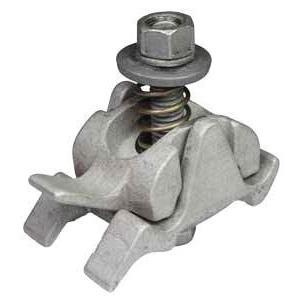 This clamp has installation torque of 250 lb-Inch. It measures 1.62-Inch x 2.5-Inch x 2.62-Inch. Clamp is RoHS compliant and meets ANSI standards.